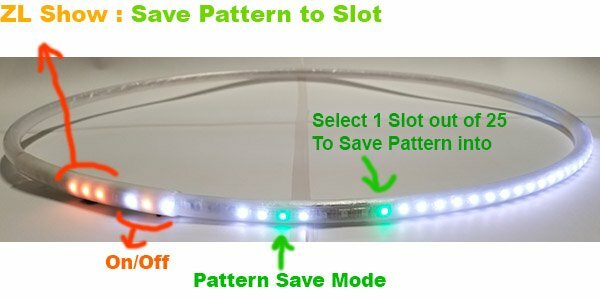 ZL SHOW MODE when turned OFF shuffles only on the Selected Group and Pattern within that Group. When turned ON allows you to setup options on how to shuffle the groups. To turn it off Press the ZL Show button again. 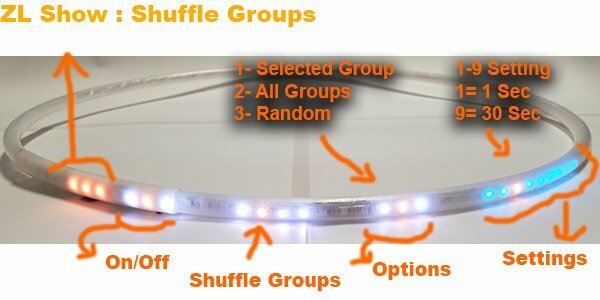 If ON then you are in Group Shuffle Mode, if off then you are in Single Group, Single Pattern Shuffle Mode. 9. 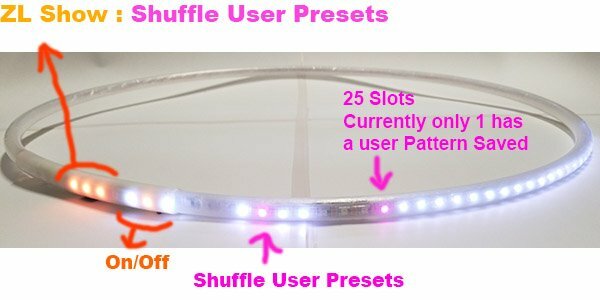 To shuffle your presets look above at Shuffle User Presets. 4. 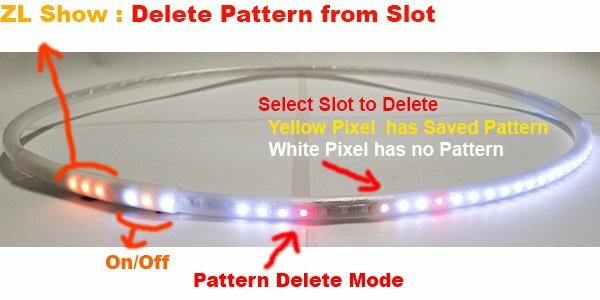 Press OK to return to Standby Mode, This deleted the Slot and turned pixel into White as empty Slot.